If you are a wedding service provider or a wedding blogger today, you probably understand why it is so important to have a good Google ranking. Unfortunately, achieving a good ranking doesn’t come easy and takes a lot of skill and hard work. If you would like to achieve a high Google ranking, follow the 10 tips below. Google cannot rank your blog or website if it cannot figure out what you do. Keywords are the best tools for helping Google determine what your blog or website is all about. So, choose your keywords carefully to ensure that your website appears among the top results when user enter keywords relating to the wedding industry. Content is king when it comes to SEO and website rankings because it can be used to position your blog or website as an authority on weddings. It is thus important to create quality, original, and engaging content to achieve this. If your website or blog becomes an authority, Google will reward you with a higher ranking. A link to your blog or website from another website or blog is like a advertisement for the quality of your blog or website. This is why links from other vendors’ blogposts showcasing your work are so important. If done right backlinks can catapult your blog or website to the top of the search engine rankings, but be careful because if it is done poorly, it may result in Google penalties. On the Internet today, you will find hundreds if not thousands of questions about weddings. Since you are in the wedding niche, you are qualified to provide relevant answers. Answering questions online is an excellent way to position yourself as an authority in your industry. It is also sometimes a great way to link back to your website. Both of these are guaranteed to improve your ranking on Google. Images are a great tool for showing visitors to your blog or website what you have to offer but you can use them for SEO purposes to improve your ranking. Google loves user-friendly websites and images are an excellent way to support your website copy. So, use images whenever possible and ensure that you optimize them properly to boost your rankings on Google. Google is now using the page load speed as a ranking factor for websites and blogs. It is the reason why faster websites tend to rank better on Google. Google has realized that users often lack the patience to wait for websites to load after they click on search listings. So, the search engine has decided to encourage webmasters and website owners to increase the page load speed by rewarding those with the highest speeds with higher rankings. Google now focuses on the usability of websites and it currently uses a similar layout for both mobile and desktop searches, which is why it wants your website to be suitable for both. If your website is not mobile friendly, chances are high that your blog or website will perform poorly in Google’s ranking. Fortunately, Google has a provided a free tool to help you see how your website or blog ranks and will even offer tips on how to improve the mobile-friendliness of your website or blog. Social media is an excellent platform for driving traffic to your website and widening your reach. 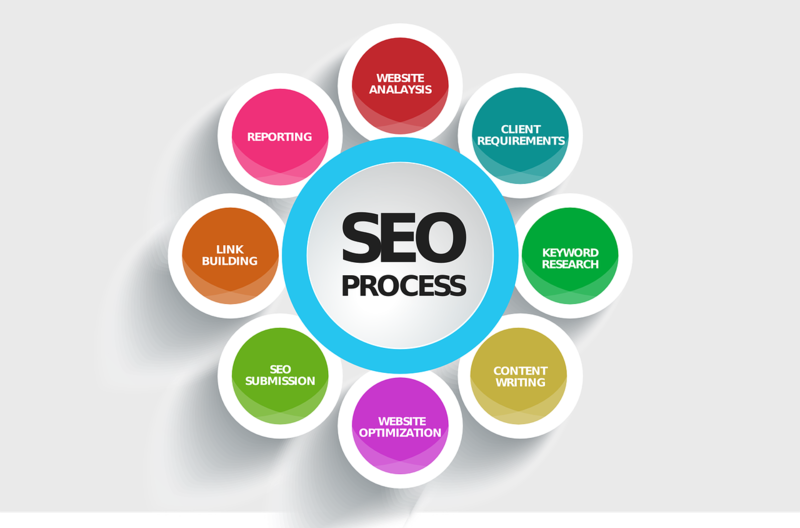 Today, it is widely considered to be a ranking factor in SEO. If your content is shared, linked to, and commented on, and liked on social media, Google determines that it is interesting to users and rewards it with a top ranking. So, if you are not active on social media platforms, make it an effort to do so today. Google My Business is not only a ranking factor but a great way to control how your business is listed on Google. It ensures that when people search for your brand on Google, your business displays on the right-hand side of searches along with the search results. All local businesses should take advantage of this powerful dashboard that Google provides if they desire better rankings. 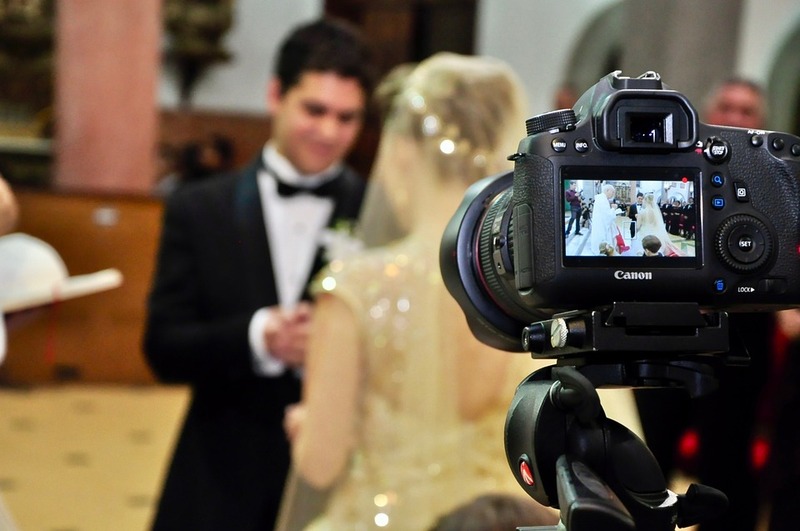 The ranking power of simple videos is often ignored in the wedding industry. Take advantage of the situation by creating simple videos to promote your business and expertise in the wedding industry. Instead of writing blog posts, you can create short videos on the same topics and use the video transcript as the wording for the page. The 10 tips for getting higher rankings on Google can be implemented immediately. All the tips are very effective and are guaranteed to work if used the right way. If you are unable to implement any of the tips, you can get in touch with a trusted, reputable professional to help you out. Looking to finance your wedding dreams? Set up a Honeyfund honeymoon registry. Bio: Marketing specialist Tom Johnston offers advice to wedding bloggers and event planners about how to rank high on Google and more effectively promote their services. The blog was written by Epic Events of New Jersey, which offers full-service event planning to make your event stand out. A quick web search is full of articles on “10 Questions To Ask Your Wedding Photographer.“ No one spends as much time with you on your wedding day than your visual team. After the wedding, pictures (and videography) are all you’ll have besides memories. With that in mind, the three factors that are most important when interviewing potential wedding photographers are personality, quality, and value. Personality is huge because it can affect the tone of the wedding day. Someone who is warm, positive, and confident will infuse the wedding party and guests with incredible energy. Be mindful of someone who exudes a cold or aloof personality, negativity or arrogance. Quality exists in multiple forms: products offered, ability to shoot in different styles or lighting, creativity, problem-solving, posing, post-processing or retouching, and customer service. Identifying the style that attracts you can help in assessing a photographer’s strengths. 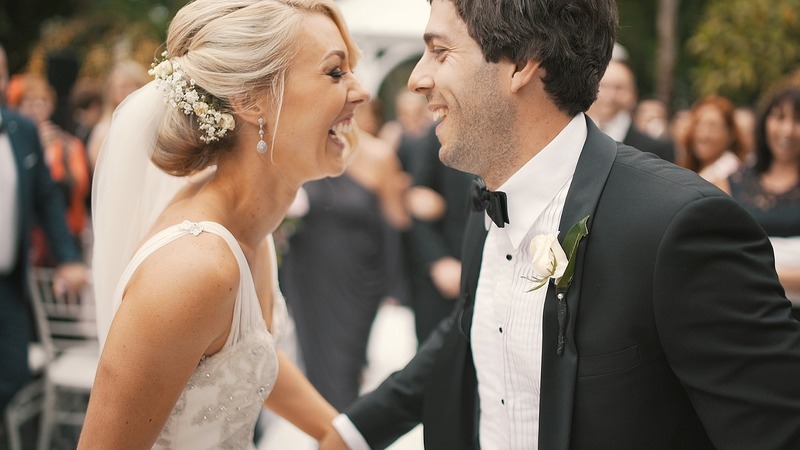 Matching their skill set to your vision for your wedding photography is important. Value starts by understanding pricing. Pricing is a combination of expertise, experience, as well as service. The value of those items depends on the level of importance you place on them and the photographer’s ability to deliver. Identifying and prioritizing what you want and what you need will help you choose to go with someone with less experience or an expert. The lowest price is not always the best value. 1. What makes you different or unique in how you will approach my wedding day? You want to find someone you not only trust, but someone who also shares your vision. 2. 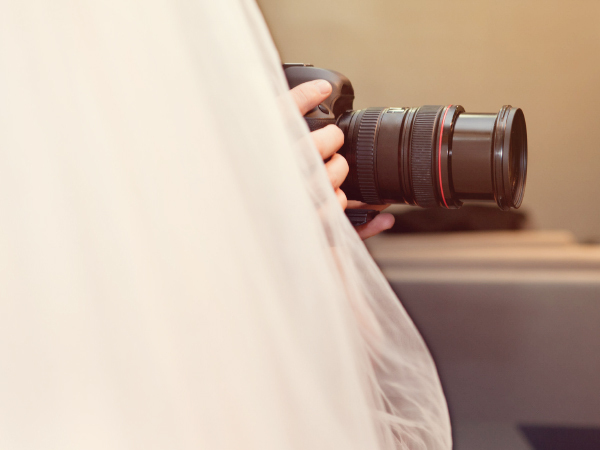 On average, what do your clients typically spend on their wedding photography? It is a good to get an idea of how much you should budget to get the goods & services you will want. 3. Can you help me understand what you mean when you say retouched, hi-res, proofs, and digital negatives? Photographers have different terms and definitions for the services mentioned above. They also have varying levels of quality to their finishing work and timelines for deliverables. 1. Read the heart of the photographer. Are they excited to shoot your wedding? 2. Do you feel like this is a high-pressure sale? 3. Do I like the photographer’s personality and can I envision myself in their style of photography? All of us are on a journey, of learning and growing. Much like the stock market, past performances do not guarantee future success. Shooting your wedding is the magic of a photographer’s ability and vision combining with your hopes and dreams to create something you’ll treasure. To help guide you, I reflected on 15 years as a Dallas-based wedding photographer and over 1,000 weddings. How have I changed, what has experience taught me or how have the people that I’ve photographed left an imprint on how I approach documenting the day? I believe it’s not necessary for a wedding photographer to be married. Nor is it a requirement for one to have children. However, both experiences in my life impacted, shaped, and refined the prism through which I view the wedding day narrative and the direction I take to strive and capture it. Herein lies a unique opportunity to connect Present & Past generations to the Future through adding visual depth to that imagery. While the Bride & Groom may be the clients, they are also the custodians of their own love story. My viewing prism has shifted a bit to look for ways I can intentionally start a conversation with the unborn. The birth of our daughter pushed it naturally forward, as my wife and I now find occasions to help her connect her place within our family. What are our values? What does love look like in a visual form? Who loves her, and who will always care for her? Not only should/must a wedding photographer exhibit the requisite skills in photography, but that person is most effective when transcending the ordinary time constraints of that day with grace and humility. We are both servants and leaders in a day full of hope and anticipation. Navigating the undercurrents of natural anxiety and different” family dynamics,” we often find ourselves equal part artist, diplomat and armchair psychologist. In my beginning efforts, I would often Hope that things would magically coalesce in front of the camera. I learned, however, through the crucible of experience and education how to anticipate and be more thoughtful. I learned to know when to provide guidance and when to step back. Why empathy, flexibility, and the ability to clearly communicate are critical to compelling storytelling. I discovered the value of in-camera artistry to allow for new, different and additional possibilities to create and a more refined final product for the couple. Like many regional communities, weddings in the Southern part of the United States come with its individual set of personality and expectations. Beginning with Engagement and Bridal Portrait Sessions, I find I must push further into the realms of creativity and trademark artwork. That time I invest then pays dividends in the intimacy afforded by my work on the actual wedding day. Even in the smallest details, there is an ability to communicate the sanctity of marriage across generations. You can capture the beauty of thoughtful preparations, tender moments, and legacy portraits and illustrate both individual and group values. The emotional spectrum is often quite visible and even unpredictable. A Father’s love may bring tears, there is a first look of anticipation, and there is joy in community, relationships, and the celebrations. The photos that move us are one’s that have impact. The one’s that show us clearly a moment, an emotion or a feeling. The spectrum of personalities, faiths, and traditions also dictates that a wedding photographer becomes well-versed not only in shooting the expected but delivering the unexpected. It is through the visual power of imagery that we can communicate with the camera what we often cannot express through words. Great wedding photography captures real people and their stories, but its enduring legacy resides in the impact each photo makes within its respective families. Good wedding photography means you get exactly what you expect. The best wedding photographers not only meet your needs, they present you photos that you never could of imagined. My hope is that during this time of great anticipation, joy, and excitement that is your engagement, you can take a bit of a long-term perspective. 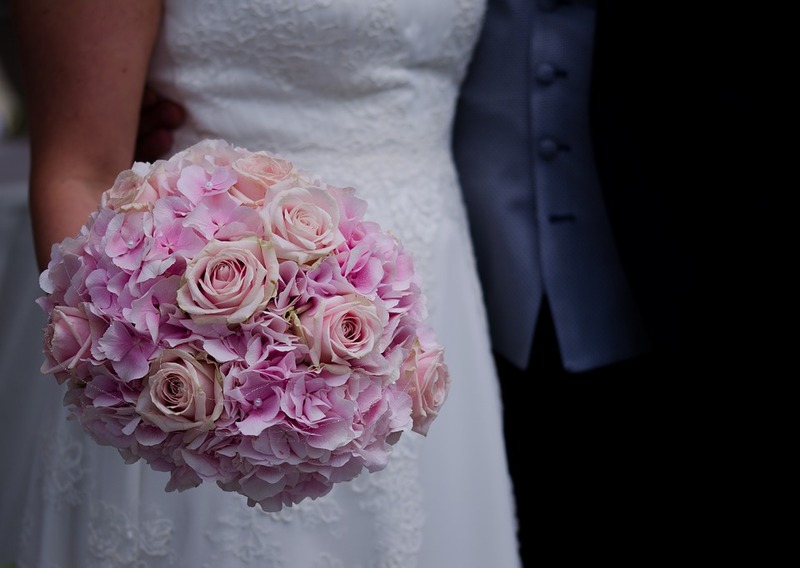 When choosing a wedding photographer, look past the detail shots and into the narrative. Look past the price list and into their hearts. There will most likely never be another time in your life that so many of your precious relationships gather together in the same place at the same time. Trust is both given and earned. Do appropriate research, find the style(s) you are attracted to, find a price you can afford, but most importantly find someone who can communicate without using words or sounds the messages of your heart. Make your dream honeymoon possible with a honeymoon registry from Honeyfund. Bio: About Luke Edmonson. I’m a limit pusher, family man and, to my wife and daughter’s delight, a purveyor of endless laughter. Together with father David, we run Edmonson Weddings (http://www.edmonsonweddings.com) that attract brides with a higher visual I.Q. It’s the first of its kind certification for wedding & portrait photographers with a purpose of raising the standard of wedding photography for everyone. For brides, it provides a recognizable way to ensure that the person they are considering is both confident and competent in their abilities.